ia, will be among 10 renowned faith leaders of the US who will share the stage with Pope Francis for a special inter-faith memorial service at the 9/11 memorial site in New York City. He, along with daughter Gunisha Kaur, will represent the Sikh community in the interfaith memorial service called ‘Multi-religious Meeting for Peace’ on September 25 inside the 9/11 Memorial Museum. “The reason he was selected is that he has been active in various local, national and international Sikh community events for long,” said Simranjit Singh, his son-in-law. He is a professor of religion at Trinity University. In the ceremony, Singh and Kaur will offer a brief Sikh prayer in front of various religious community leaders. Last month, they got an invitation from Cardinal of New York James Donald for the event. Satpal Singh is currently the chairman of Sikh Council for Interfaith Relations, an organisation that conducts religious retreats and meets annually in various parts of the US. In this function, representatives of different religions are invited who give presentations of their religion to other representatives. He was earlier the chairman of World Sikh Council, American region, a representative body of Sikh institution of America. “The whole motive of the annual ceremony is to identify various aspects of each other’s religion, finding peace and making this nation a better place to live in for the people of all backgrounds,” he said. 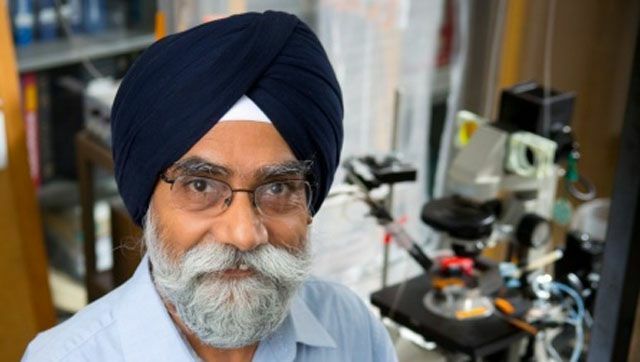 Singh, who hails from Amritsar, is an associate professor of pharmacology and toxicology and has been working at University of Buffalo since 1989. A victim of anti-Sikh riots of 1984, he left India with his family 30 years ago and settled in Amherst, New York. Gunisha Kaur, born in Amritsar, is anaesthesiologist by profession and works at New York Presbyterian Hospital. She is associated with various community works related to global health and medical service. The ceremony will be a small affair and will be attended by religious representatives of many religions, including audience, in the region. It is the firstever tour in the United States for Pope Francis.